Here we go! 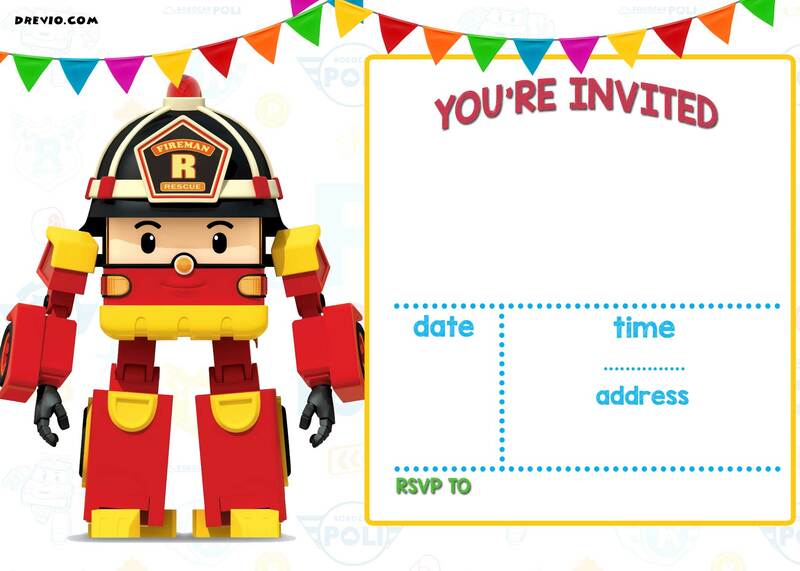 Ready, set…Have you met Robocar Poli? 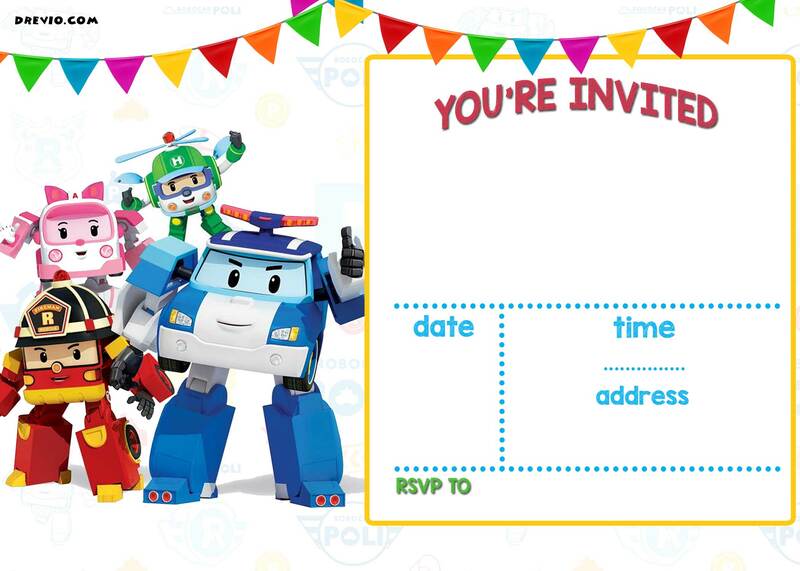 If you’re a fan of Robocar Poli, a great animation movie from Korea, then you should celebrate your next birthday with these Robocar Poli invitation. Comes in all characters, you can choose what’s fit for your next birthday party. You can choose the leader Poli, the Saver Amber, the firefighter Roy or, the helicopter, Helly. They are come in different birthday color theme. Poli with blue, Amber in Pink, Roy in Orange and Helly in Green. These invitations measures 5″x7″, where you can easily customize the invitation with a pen or a marker. Comes in high quality image, you will be happy with the result. 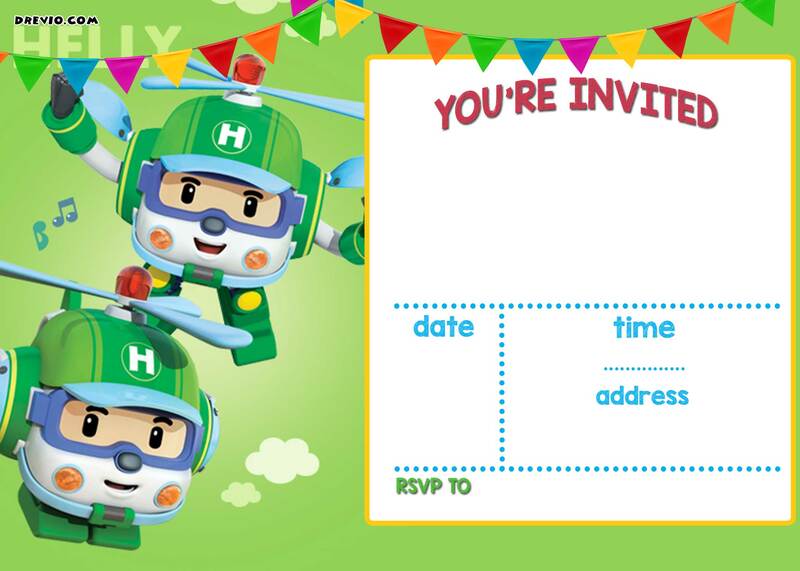 These invitations comes in so many color too. Download the image, and fill it with your party details like time, date and location of your party. 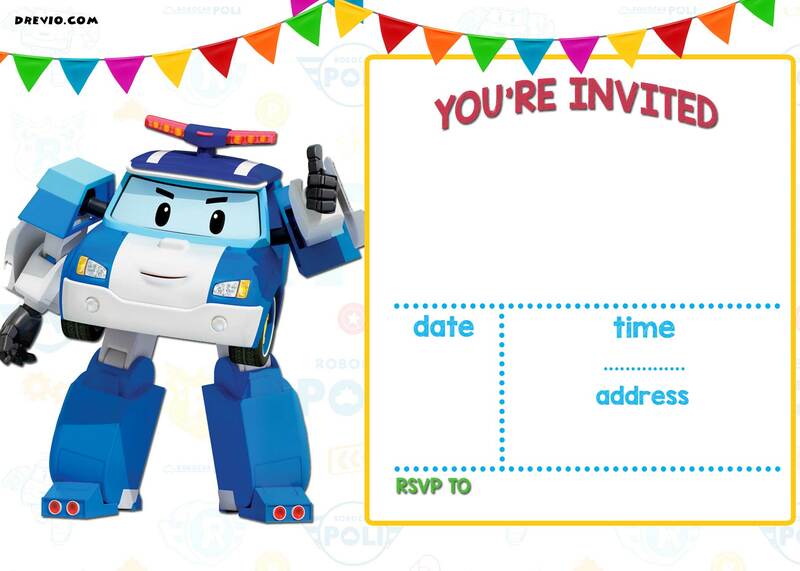 How to Download this Free Robocar Poli invitation? Simply click the invitation, and Save the image as. 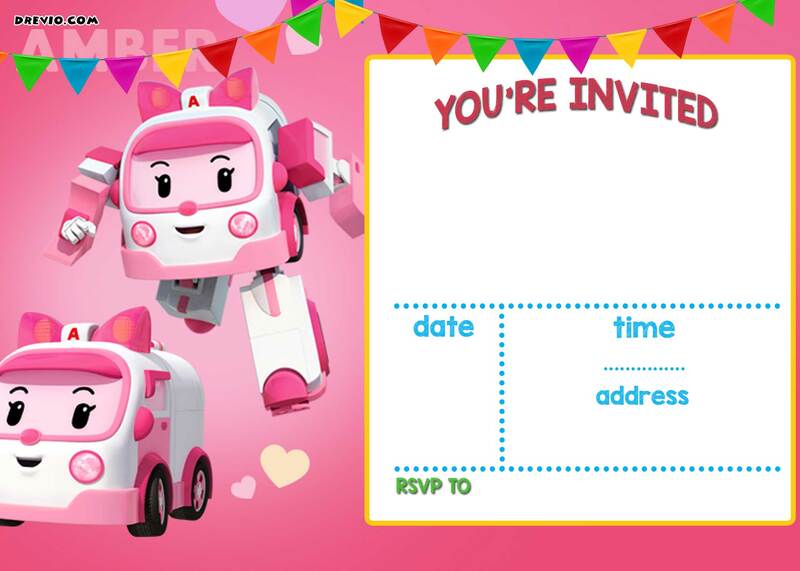 If you are able to operate Photoshop, then you can customize your invitation. Add photos etc.